I really missed working on my big Bear & Fish project. 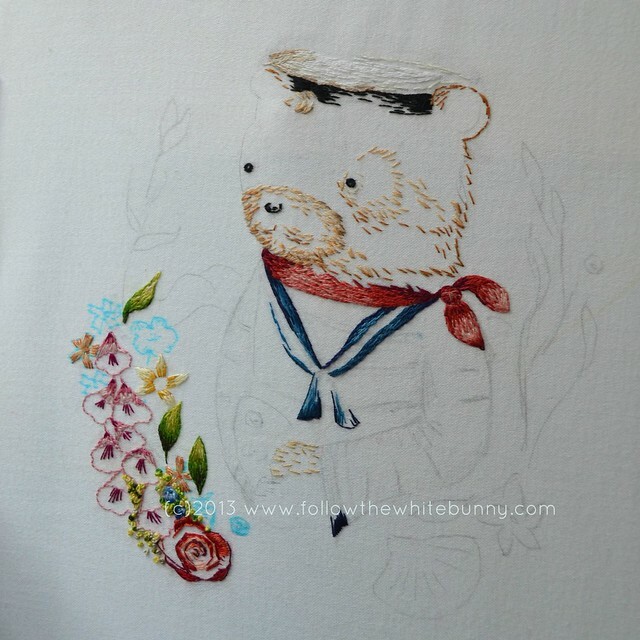 Yesterday I added some tiny berries and coloured in some more of the rose. I also started filling in some empty spaces in the background with 'moss' which actually consists of tiny French Knots in every colour green I could find in my teacup filled with floss leftovers! I'm really happy with how it looks so far even though it is for from perfect 'technically', especially if you look closely. I'm now looking to pictures of waves and clouds on Pinterest for inspiration for the background. Well I think it looks incredible! 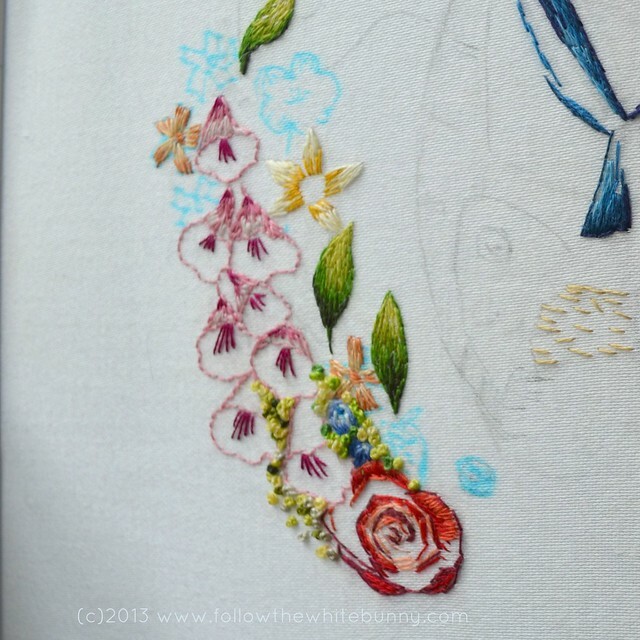 Far away and close up :) I love the idea of threads in a teacup! Whoever might look closely isn't someone who should be looking at this wonderful stitchery! Fish and Bear are looking fab! You blow my mind, Nicole. He's stunning!